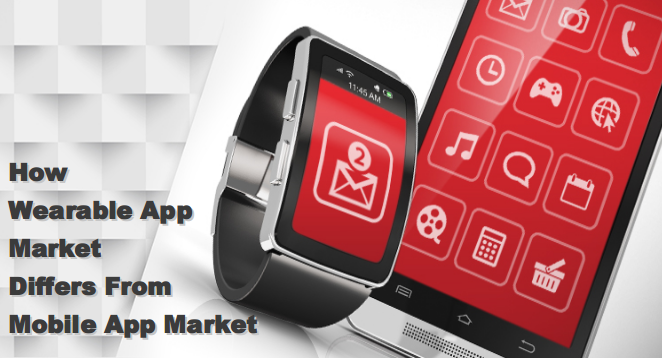 How Wearable App Market Differs from Mobile App Market? Desktop Internet has taken nearly two decades to reach every nook of the streets around the world. 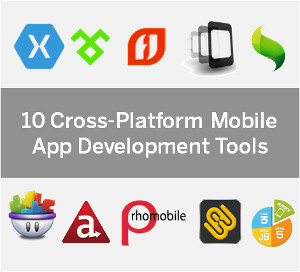 Mobile apps reached in the palms of handheld devices users within a decade. Now, the wearable app market is rocking the market to reach the bodies of average adults in advanced countries within half decades. Unlike mobile apps, wearable has different use cases and purposes. Therefore, the wearable app market is carrying the better perspectives, but different from the mobile app market for growth and prospects. How Wearable Devices Different From the Smartphones? Smartphones or tablets like handheld devices stay in the palm of users most of the time, but not all the time. Smartphones have enough CPU power and battery life to accomplish some heavy tasks beautifully and work as an independent minicomputer in real meaning. Whereas, wearable devices stay in touch of bodies of users always unless, users willingly keep it off. Wearable has limited CPU power, battery life, and connectivity. Therefore, wearable devices have to work in tandem with a smartphone or other devices to exchange data in real-time. The wearable devices can establish a connection with The Internet directly as well as synchronize the functions with smartphones like powerful application for real-time and high connectivity, data processes, and data presentations. Wearable devices can plant on your wrists (Smart Watch), on eyes (Smart Glasses), chest/belly/thighs/legs (Belts with sensors), and in body organs (Monitors). Thus, wearable has the massive scope of data collection for varied purposes and in unimaginable ways. Smart Watches have the tiniest screens while smart glasses are famous for the virtual screens in front of the eyeballs of the users. Smart belts and internally implanted devices in the body have to rely on the smartphones to display data, as those devices have no screens at all. Therefore, displaying content in smartphone ways is never possible and demand altogether different paradigms to address it. Due to hardware limitations, most of the wearable apps have hardly any independent functionality except collecting data from the attached sensors. In most cases, wearable apps are acting as mere extensions of the smartphone apps and perform some designated activities. For instance, displaying notifications that forwarded either directly or through smartphone apps; displaying time, weather, calendar, etc. like basic things used in day-to-day life. User interactions on wearable apps are minimal, or none exists due to the size of the screens if screens are existing. Only Smart Watches have tiny screens to display limited content in limited forms. The same you could find in the case of some smart bands and a little in smart glasses. Fundamentally, wearable apps are extensions of other big sister devices’ apps, mostly for smartphones apps. Therefore, the majority of user interactions are taking place on smartphone apps or through it. Users have no opportunity to interact with wearable apps directly. With a better understanding of wearable devices and wearable apps, now we can imagine the wearable app market and its diversities due to differences in its applications and implementations against the smartphone apps. Healthcare wearable applications share the biggest chunk of the market and emerging as the strongest contender in coming days. Mobile apps are capable of doing wondrous things in healthcare, and medical niches with the help of sensors and wearable devices offer the most suitable platform to collect the data accurately and transmit to the smartphone apps in real-time that is not possible with any other means. The mobile app market is now stable and had no reason to stop its progress or growth because the wearable apps are heavily relying on the mobile apps. Thus, mobile app developers have to develop a mobile app first then the wearable app as its extension. How The Future of Mobile Apps Look Like?